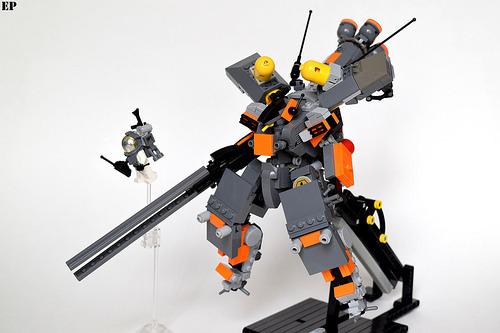 Space mechs are always a sight to behold. I mean, what is the purpose of legs in space? You know what their purpose is? To look cool—and the MA-01C Powered Seraphim I by Caleb proves it. 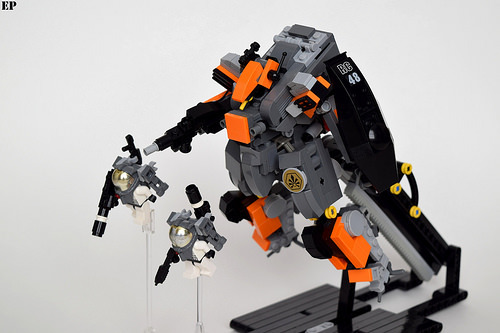 This build certainly catches your eye with its incredible silhouette and the bold use of orange as highlights for the armor. The spacemen backing it up just serve to show a proper scale, especially considering it fits a minifig inside. It also comes in a flight-ready version sans armor plating. Now it looks like it can cause some deep space damage.